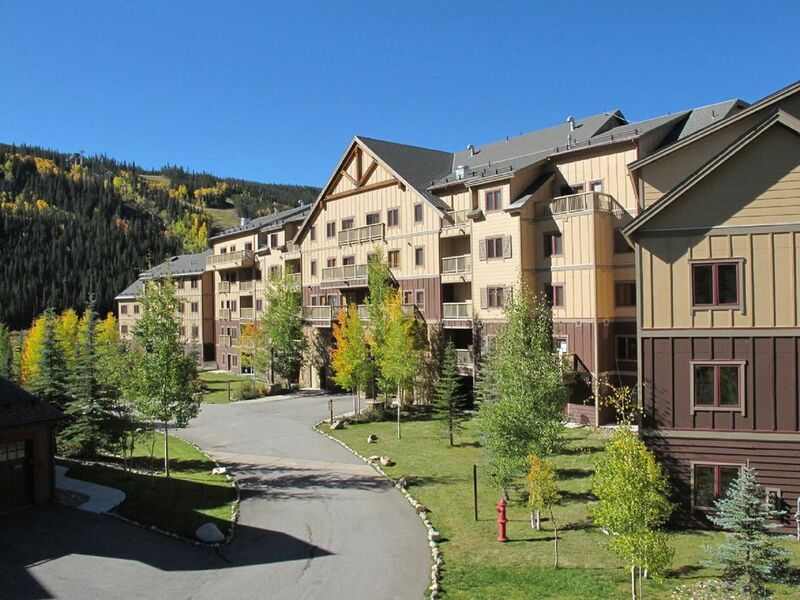 1BR+Murphy bed/2 Bath condo (sleeps 6-) in Red Hawk Lodge. Located in River Run Village (Keystone Ski Area). Very close to the new River Run gondola. Walk to all the Village shops, restaurants, and activities. Lots of amenities on site: heated outdoor pool, 2 hot tubs, BBQ, game room (pool table), versatile lobby area including stone fireplace and big screen TV lounge, exercise facility (with two walls of windows facing the ski runs), steam room, and free underground parking. All bed linens and towels for both baths are provided. Extra sheets are included for the Murphy bed, Queen foldout, and Twin futon. Large workout area on the building first floor (near the pool). The condo has 2 TV's on cable. The condo has a private balcony facing the Continental Divide and the protected river wetland area. Accessible by elevator from main lobby or underground parking garage (no steps anywhere).